Want to greet your French friends or offer well wishes during special occasions but don’t know how to say it in French? This article will teach you exactly what to say or write during the most important events. 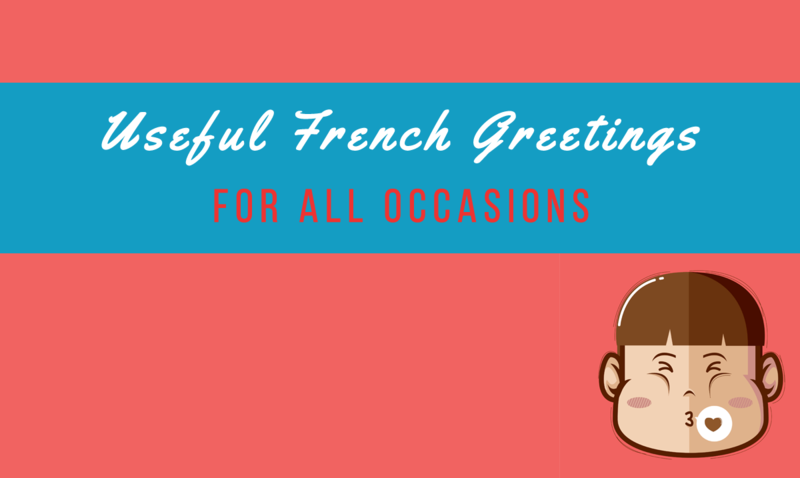 Whether it’s a festive event like a birthday, anniversary, wedding, promotion, or holidays—or an unfortunate situation like a sickness or death in the family—stick with me here because I’ll be sharing with you how to express your well wishes in French. You can also download the complete list in a printer-friendly PDF format. Let’s start with birthday greetings. Birthday traditions in France are same as elsewhere: a cake, gifts, as well as singing of birthday songs. The birthday song is similar in tune to the “happy birthday to you” song you’re quite familiar with—but translated into French, of course. Here are some common ways to greet people a happy birthday in French. Bonne fête ! Happy birthday! Que tu profites encore de nombreuses années ! May you enjoy many more years! Que tous tes désirs se réalisent ! May all your wishes come true! Je te souhaite plein de bonheur en cette journée spéciale. Wishing you every happiness on your special day. Je te souhaite tout plein de bonheur en cette journée particulière. Passe une merveilleuse journée ! Wishing you every happiness this special day brings. Have a wonderful birthday! Joyeux anniversaire [zhwy euz ahn ee vehr seyr] and bon anniversaire [bohn ahn ee vehr seyr] is commonly used in France, but in French-speaking parts of Canada, it’s usually bonne fête [bohn fet]. Note: You might have noticed that in French punctuation, there is a space before the exclamation point. Like this ! Wondering how to greet a married couple in French during their wedding anniversary? Here are some ways. Joyeux anniversaire ! Happy Anniversary! Joyeux ...(ème) anniversaire de mariage ! Happy __th Anniversary! Félicitations pour vos noces…. Congratulations on your ______ wedding anniversary! You might have noticed that joyeux anniversaire is the same phrase listed previously for birthday greetings. And…you’re absolutely right! 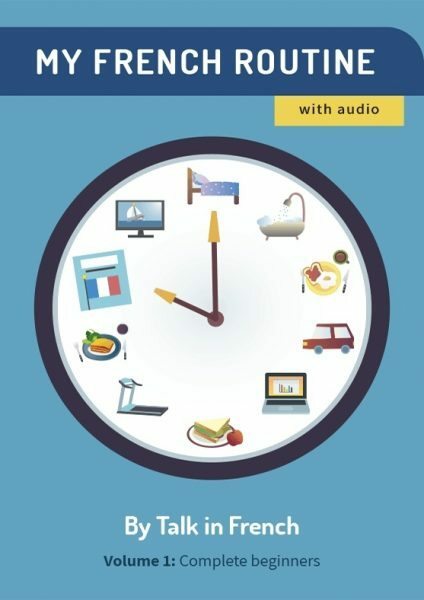 While this may seem weird to non-French speakers, in French, anniversaire covers so much more than just anniversary; it can also refer to birthdays. How about during challenging moments when you struggle so hard to express your condolences in French? How do you say how sorry you are for their loss? Here is a list of words of sympathy that you may use to condole and share in the sorrow of a grieving French person. We have added some details below to guide you on when to properly use these condolences. Je vous prie de bien vouloir accepter mes sincères condoléances. Please accept my sincere condolences. Very basic and common phrase to offer sympathy. Nous vous prions d'accepter nos sincères condoléances. Please accept our most sincere sympathy. Highly formal. may be used to offer condolences to people you are not very familiar with. Nous sommes sincèrement désolés d'apprendre la disparition de _____… We are sincerely sorry to hear about the passing of____. This is usually reserved for close friends. En ces moments difficiles nous tenions à vous faire part de nos sincères condoléances. Please accept our deepest and most heartfelt condolences at this most difficult time. May be used for close/ familiar friends. Je suis de tout cœur avec vous. I'm with you with all my heart and soul. An informal way to offer sympathy and may be used with close friends and family. Nous partageons votre peine en ce moment de deuil. Nos sincères condoléances, à vous et à votre famille. We share your difficulty in this time of grieving. Our sincere condolences to you and to your family. This one is also a little less formal than the others and may be used between families and friends who are quite familiar with each other. Joyeux Noël ! - Merry Christmas! Merry Christmas! Bonnes Fêtes ! – Happy Holidays Happy Holidays! Joyeuses Fêtes !– Happy Holidays Happy Holidays! Meilleurs Voeux ! – Best Wishes! Best wishes! Joyeux Noël et Bonne Année ! - Merry Christmas and a Happy New Year! Merry Christmas and a Happy New Year! Bonne Année !- Happy New Year! Happy New Year! Bonnes fêtes de fin d'année ! - Happy Holidays! Happy Holidays! The need for saying congratulations in French could come up a lot more than you’d expect, especially if you are traveling or moving to a French-speaking country. So here are some phrases you can use to congratulate someone for general situations. Je veux vous féliciter. I want to congratulate you. Chapeau ! Hats off to you! This is an informal idiomatic expression that works similarly as with its English counterpart but may seem a bit old-fashioned. Bon travail ! good work! The word félicitations [feh lees ee ta see yohn] is quite flexible and can work for all types of scenarios, and so does the verb it is derived from: féliciter. But if you want more specific ways to congratulate people, scroll down below. So, someone you know is having a baby or just delivered a bundle of joy into the world. Here’s how to congratulate them in French. Félicitations pour la naissance de votre petit garçon / petite fille ! Congratulations on the arrival of your new beautiful baby boy/girl! Félicitations pour la nouvelle arrivée dans votre famille ! Congratulations on the new arrival in your family! Nous sommes ravis d'apprendre la naissance de votre petit garçon / petite fille. Félicitations. We are delighted to hear of the birth of your new baby boy/girl. Congratulations. For academic achievements that deserve a pat on the back, here are some ways on how to express your warm sentiments. Félicitations pour ton diplôme ! Congratulations on your graduation! Félicitations pour tes examens ! Congratulations on passing your exams! Bien joué pour les examens. Well done on your exams. Félicitations pour l'obtention de ton Master ! Congratulations on getting your Masters! Félicitations pour ton entrée à l'université. Well done on getting into University. Weddings and engagements are among the happiest moments in a person’s life. When you need to show that you’re one with friends in their happiness, here are phrases you can use to congratulate them and wish them the best in their huge milestone. Félicitations pour tes fiançailles ! Congratulations on your engagement! J'espère que vous serez très heureux ensemble. I hope you’ll be very happy together. J'espère que vous vous rendrez extrêmement heureux l'un l'autre. I hope you will make each other extremely happy. Avez-vous déjà fixé la date du grand jour ? Have you set the date of the big day? Félicitations. Nous vous souhaitons à tous les deux tout le bonheur du monde. Congratulations. We wish both of you all the happiness in the world. Félicitations pour votre mariage! Congratulations on the wedding! Félicitations et meilleurs vœux à vous deux pour votre mariage. Congratulations and best wishes to you both on your wedding day. Félicitations aux jeunes mariés pour leur heureuse union. Congratulations to the newlyweds on their happy union. Work-related wins and advancements call for some celebration—and well wishes from friends and family. So in cases when you need to extend your congrats, here are some ways to do so, as well as some ways to wish people luck on their new work. Félicitations pour avoir décroché ce poste ! Congratulations on getting the job! Félicitations pour ton avancement ! Congratulations on the promotion! Nous te souhaitons beaucoup de succès dans cette prochaine étape professionnelle. We wish you every success on your latest career move. Have friends or colleagues who have fallen ill and need some cheering? Send them a get well card and let them know they’re in your thoughts. Here are some words you might want to tell them. Prompt rétablissement. [Wish you a] speedy recovery. Rétablis-toi vite. Get well soon. Nous vous souhaitons un prompt rétablissement We wish you a quick recovery. Se sentir mieux bientôt Feel better soon. Je pense à toi et espère que tu te sentiras mieux très bientôt. Thinking of you and hope you feel better soon. Nous espérons que tu seras sur pieds d'ici peu. We hope that you will be up on your feet soon. I’m sure you’re familiar with the word merci (mehr see), but there are more ways to say thanks in French. Check out this list of phrases you can use to express your gratitude. C'est vraiment gentil de ta part. It is really nice of you. Do you have more scenarios that need a list of French greetings or well wishes? Don’t hesitate to let me know in the comment section and I will try to update this article with your suggestions. For more phrases like these, get your copy of this French Phrasebook. It’s perfect not just for tourists, but also for people who wish to learn French.